Professor of Journalism and Politics at Staffordshire University. His books include The British Press (2008) and How Britain Works: From Ideology to Output Politics (2000). 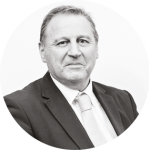 He has published widely on politics and the media, comments regularly on national and local media, and is co-editor of Journalism Education. 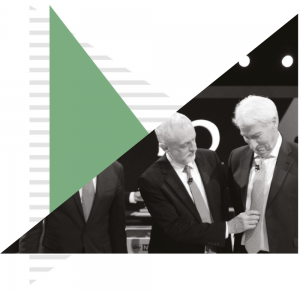 In the early hours of Friday morning, as the results poured in and validated the unexpected broadcasters’ exit poll prediction, I came up with the title of this piece. Feeling smug at my originality, it wasn’t long before I discovered the phrase popping up all over social media and the blogosphere. Others had also looked at the Sun and the Mail’s extraordinarily nasty coverage of Labour and Jeremy Corbyn and noted the distaste of, particularly, the young electorate. 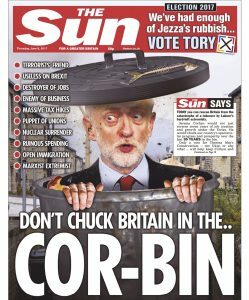 Of course, the use of the phrase ‘it’s the Sun wot won it’ and the seriousness with which academics treated the claim, implies extraordinary power to our newspapers and their hold over their diminishing readership. And the election result is already raising questions about the declining influence of national newspapers who almost all backed Theresa May. The tabloid press and the Conservative party ran a campaign concentrating on sustained negativity and personal abuse. Conversely, Corbyn’s policy of delivering his party’s message of social justice and his refusal to engage in the modern politics of abusing your rivals clearly enthused many young people. 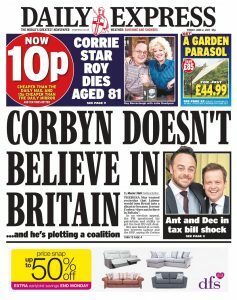 There is little doubt that newspapers have some influence on the issues that people think about, but there is no consensus about just how they influence public attitudes. The press’s impact on voting patterns also arouses differences. Did the Sun really ensure John Major’s Conservative government in 1992 when they claimed it was ‘The Sun Wot Won It’? 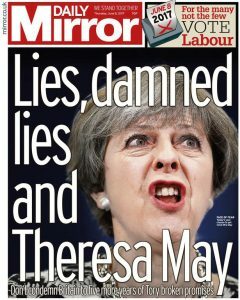 The argument that there was a late Conservative swing among Tory tabloid paper readers but not among pro-Labour Daily Mirror readers has been fiercely debated. 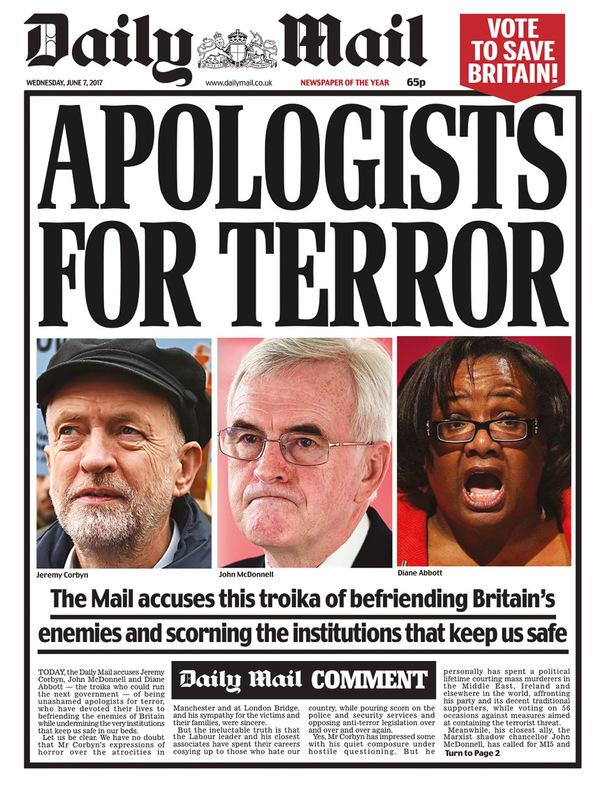 Some assert that if newspapers have any effect it is in the cumulative effect of anti-Labour reporting. Some research of newspaper preferences, readership and voting patterns in the 2015 general election maintained that the right-wing press won that election for David Cameron. Perhaps. 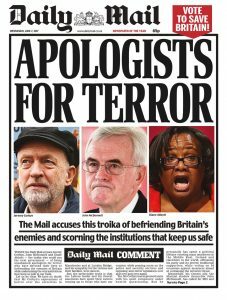 But one thing we can all agree on is that the right-wing press coverage of Labour in the post-Blair years has been uniformly hostile. In 2015, academic studies had argued that the general election campaign was characterised by a press hostility to Labour not seen since 1992. 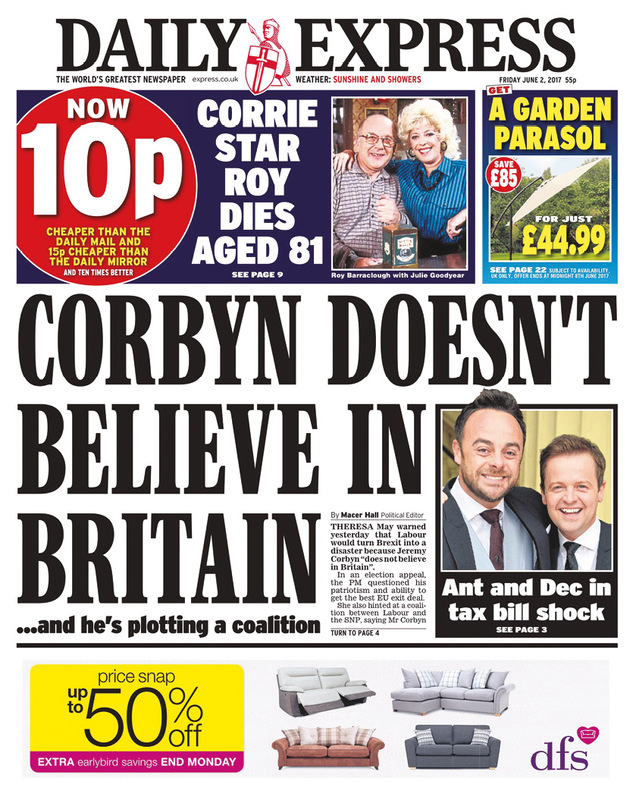 For this election, the coverage for Corbyn and Co by all sections of the right wing press made the ridicule heaped on Ed Miliband seem positively benign. In general, Miliband was portrayed as a mostly incompetent Wallace with Ed Balls as Gromit. His inability to eat a bacon sandwich gracefully was the inspiration for the Sun’s election week headline ‘Save our bacon’. By contrast, during this election Jeremy Corbyn was consistently portrayed as a ‘shameless apologist for evil’, and was nearly always featured wearing his apparently communist cap. That cap became his identifiable feature in political cartoons, like Harold Wilson’s pipe. 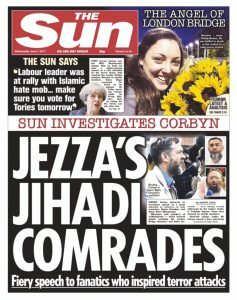 Labour’s manifesto, despite wide public support, was described by the Sun as a ‘Marxist masterplan’ which would transform Britain into a ‘crumbling ruin’, no doubt led by ‘Jezza’s Jihadi comrades’. 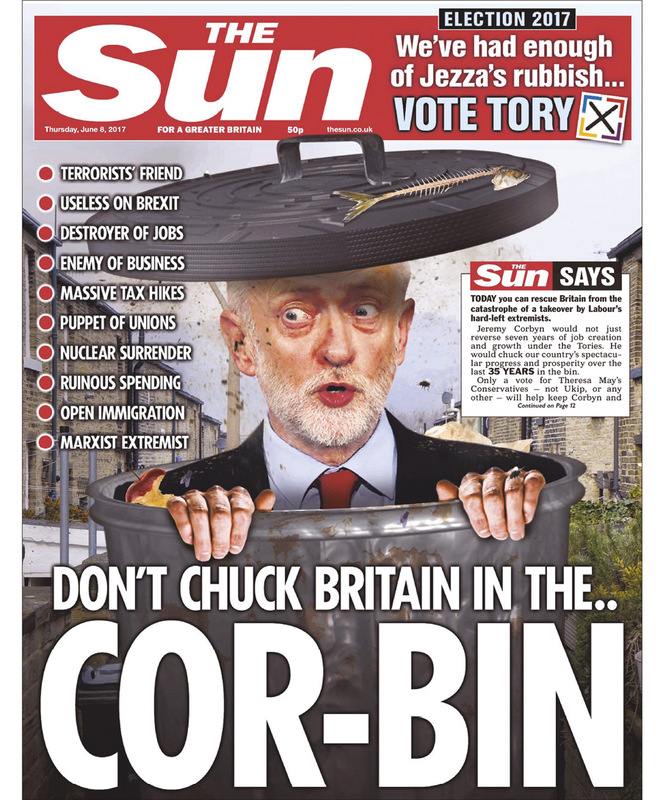 The Sun’s election-day front page headline, ‘Don’t chuck Britain in the Cor-bin’, accompanied by a mock-up of Corbyn peering out of a dustbin, aroused a considerable backlash on social media. 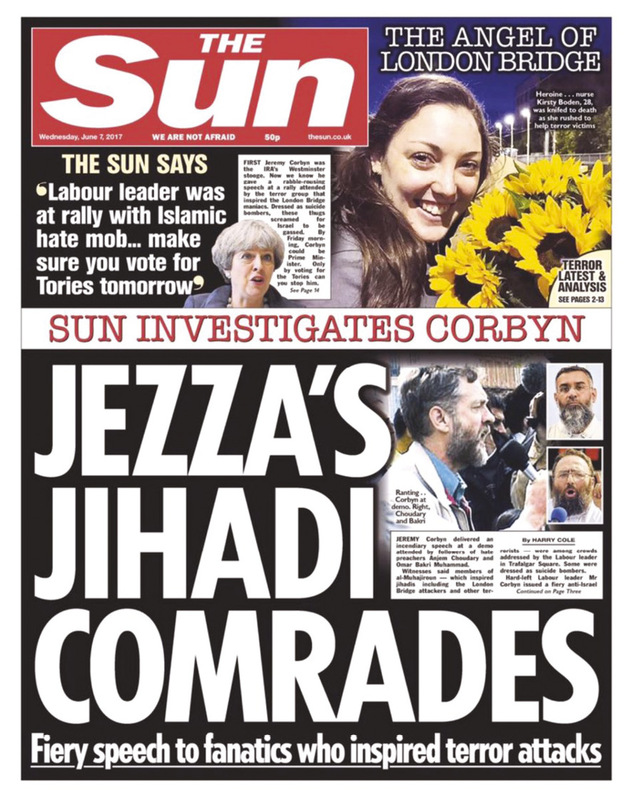 Inside and with no hint of irony, the Sun damned his ‘fervent followers’ who had ‘bombarded social media with abuse’ to intimidate potential Tory voters. 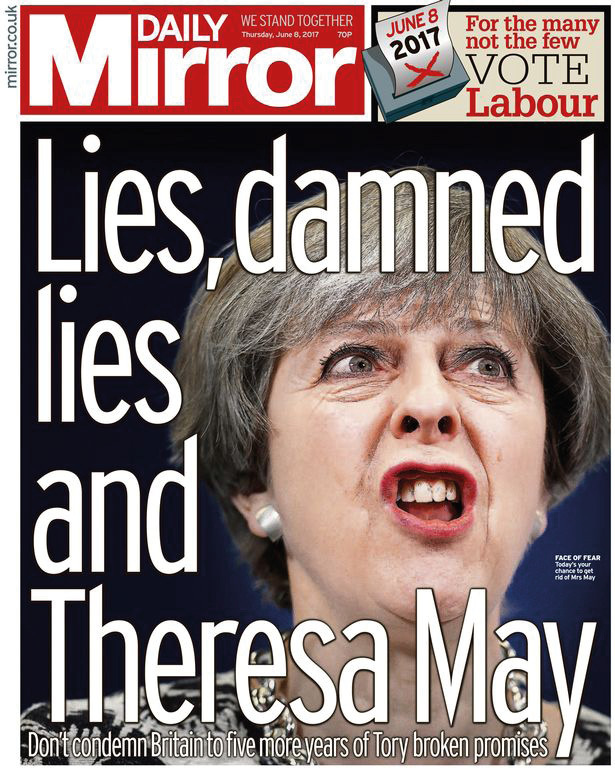 It would be nice to report that the pro-Labour Daily Mirror displayed more restraint, but their election-day headline ‘Lies, damned lies and Theresa May’, accompanied by a picture of a snarling prime minister, added to the tabloid nastiness. 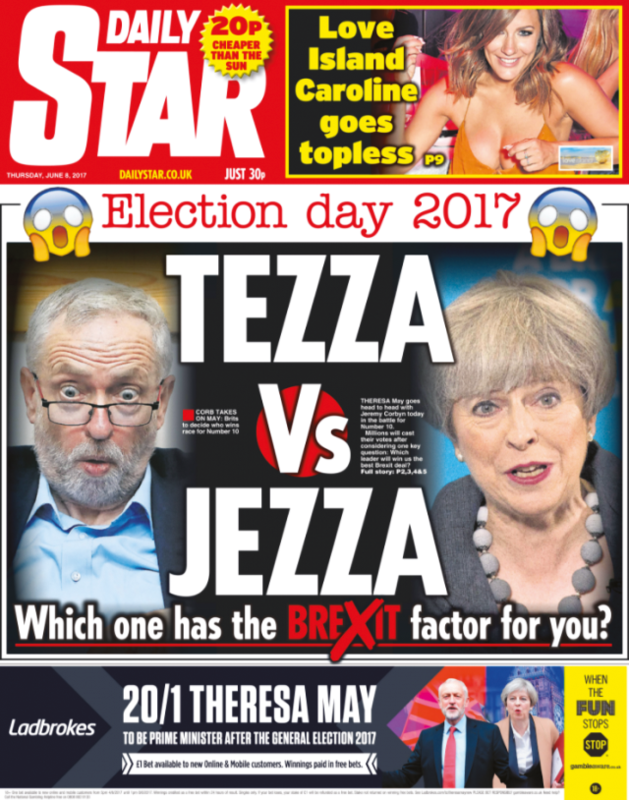 At the beginning of the election campaign, the Sun predicted ‘Blue Murder’ for Corbyn’s Marxist ‘madness’ and a Tory landslide for the ‘impressive’ Mrs May. At the end, the women the Mail had called ‘Britain’s New Iron Lady’ in January 2017 became the scapegoat for their failure to engineer her expected coronation. Few go online at the Sun and the Daily Mail for their political news. It may be that falling physical print sales mean their role as political agenda setters is almost over, replaced by partisan blogs such as pro-Labour Another Angry Voice and Conservative Home. In the post-election blame game, Theresa May’s co-Chief of Staff Nick Timothy chose to give his reasons for resigning on Conservative Home. The future looks bleak for printed newspapers and, after 2017, perhaps even bleaker for their political influence via any medium.